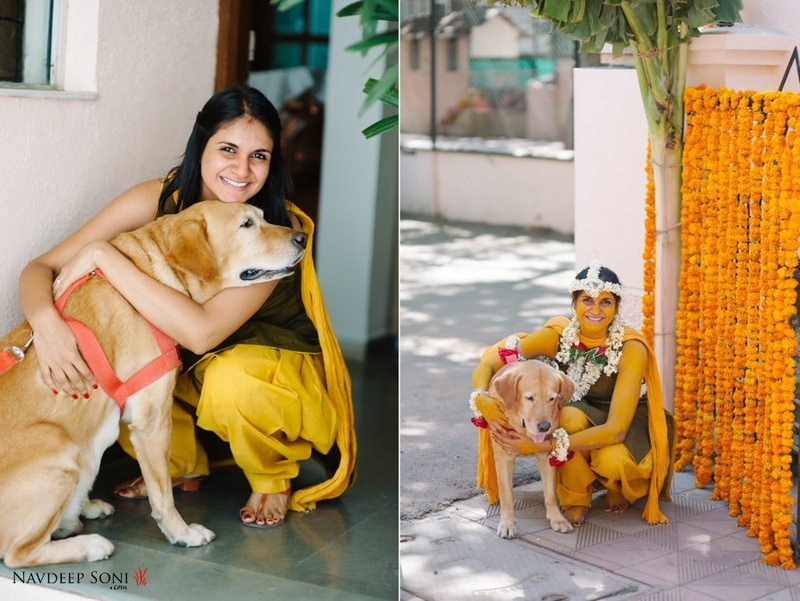 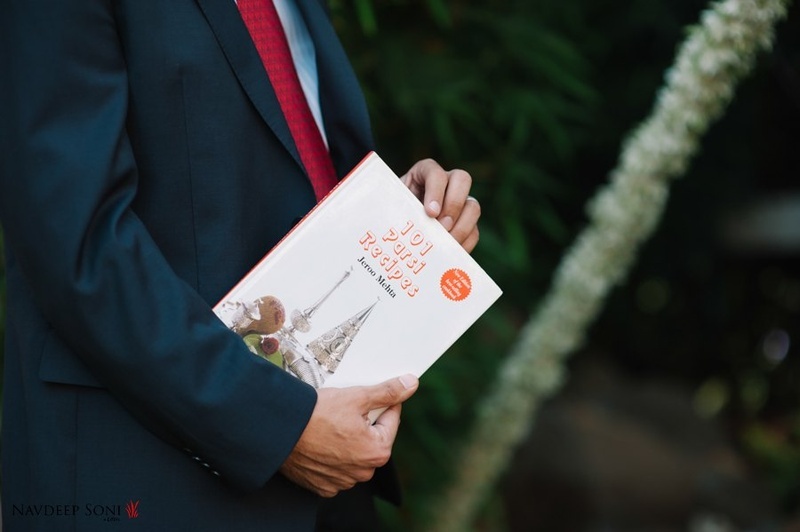 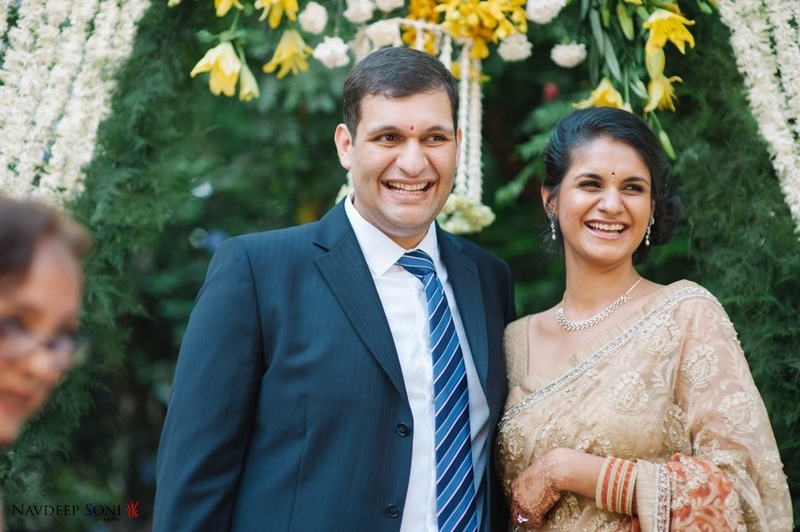 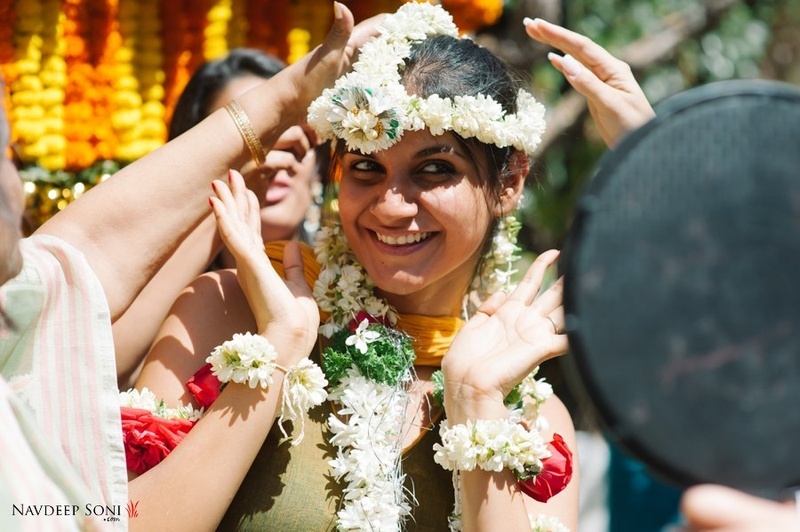 Nayantara and Dhruv chose to break the monotony of Big Fat Indian Weddings with their tasteful backyard wedding held at a farmhouse in Pune. 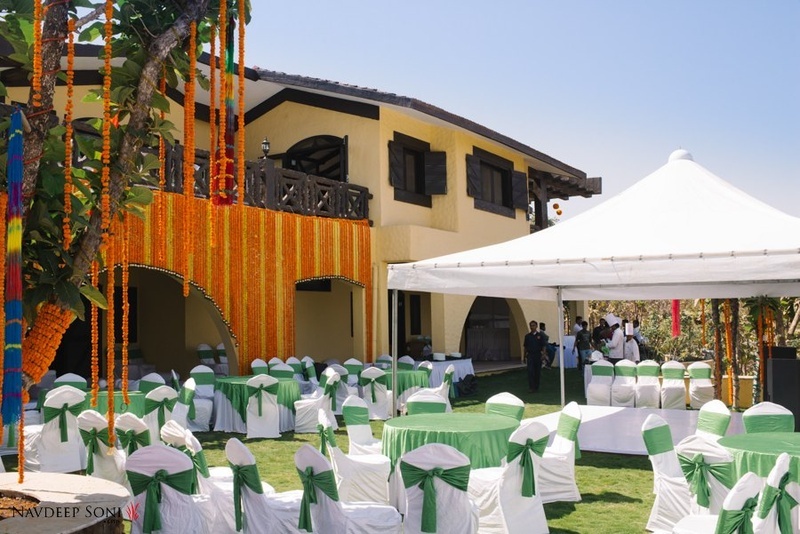 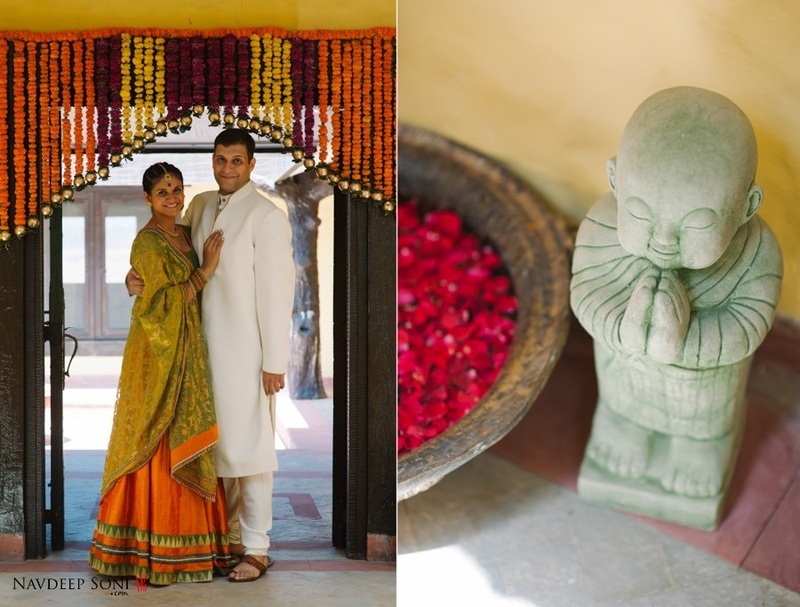 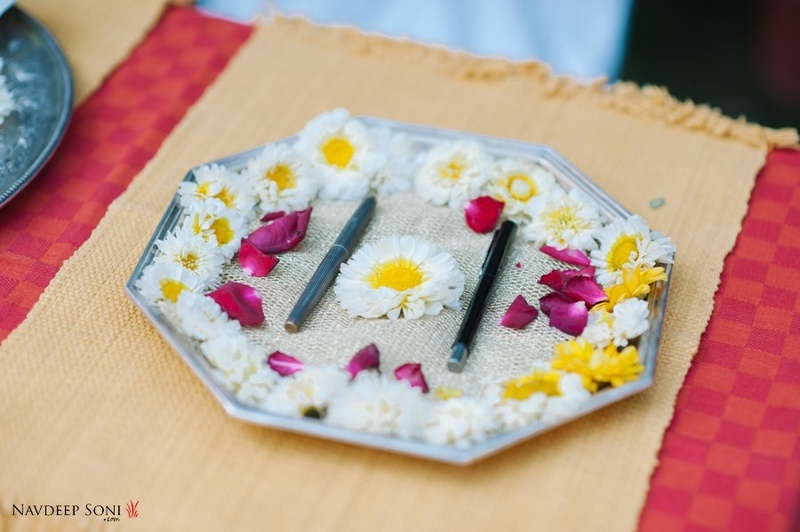 The entire farm house, situated on the top of a hill overlooking a lake was a perfect wedding venue for Nayantara and Dhruv’s elegance filled wedding affair. 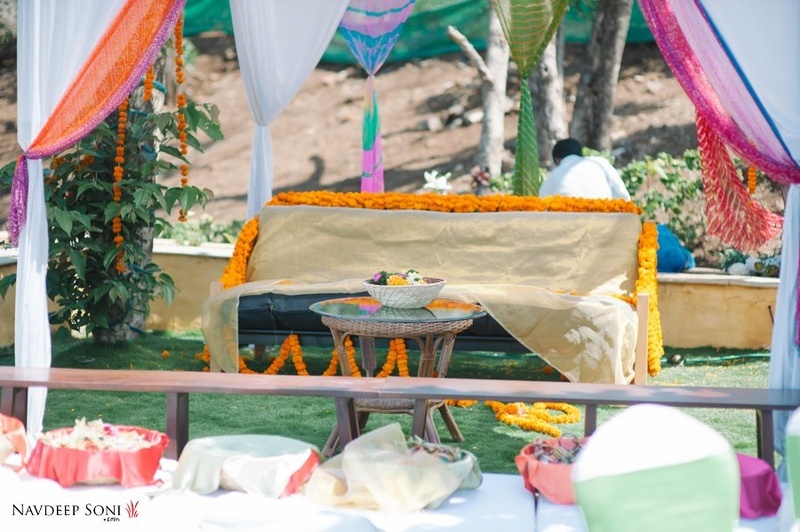 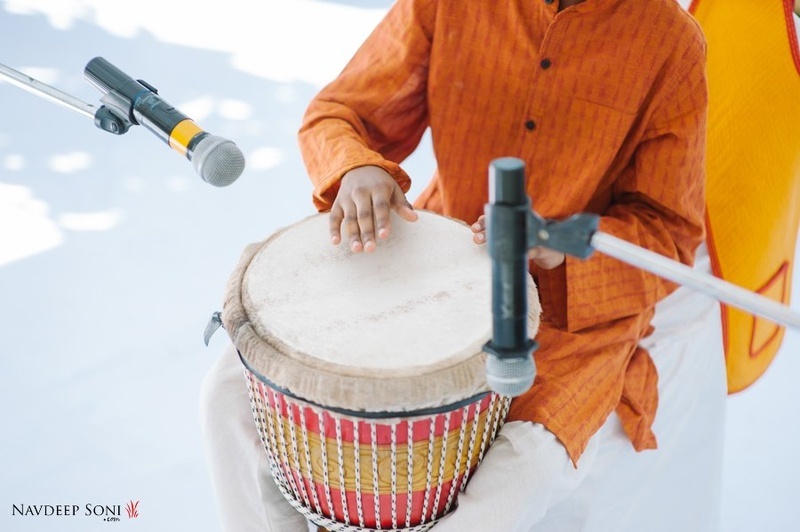 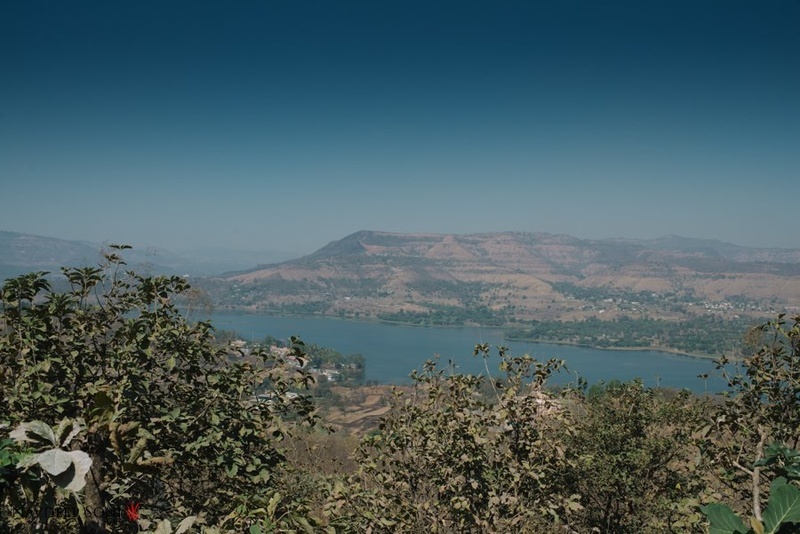 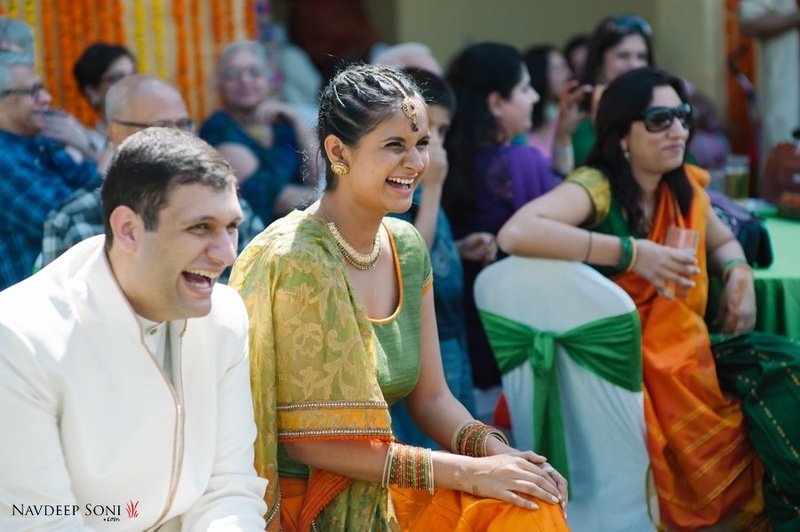 The haldi, mehndi+sangeet as well as the wedding and reception was held in the backyard of this picturesque farmhouse in Pune. 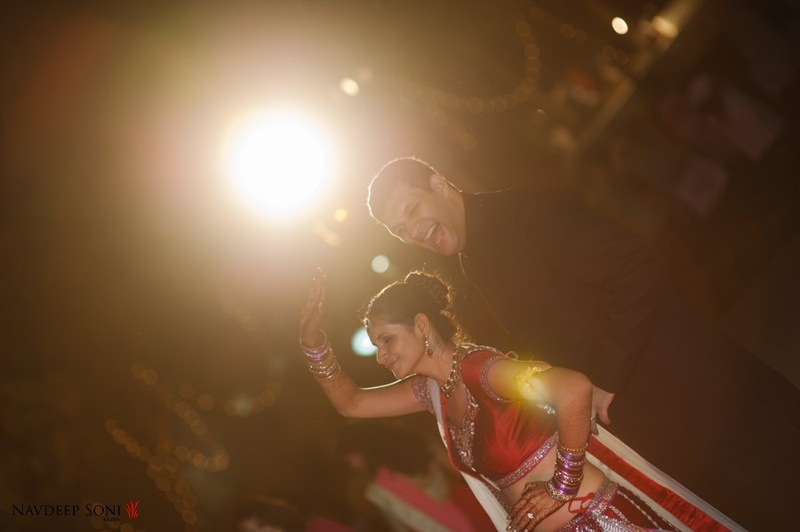 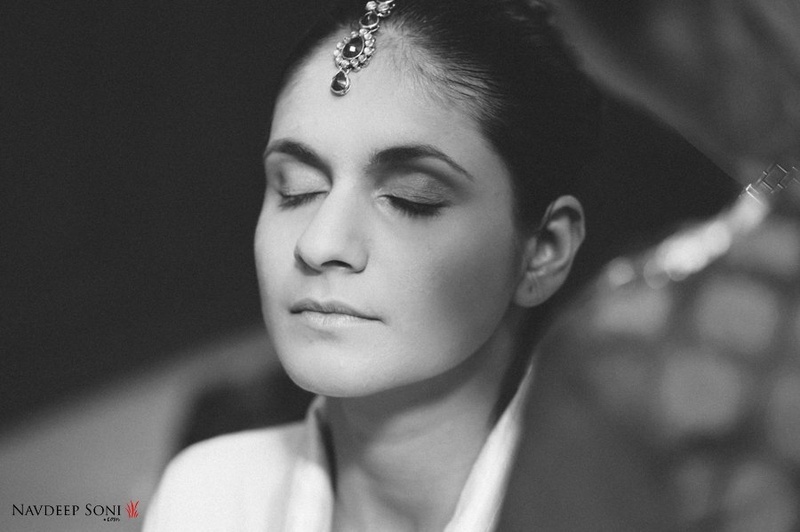 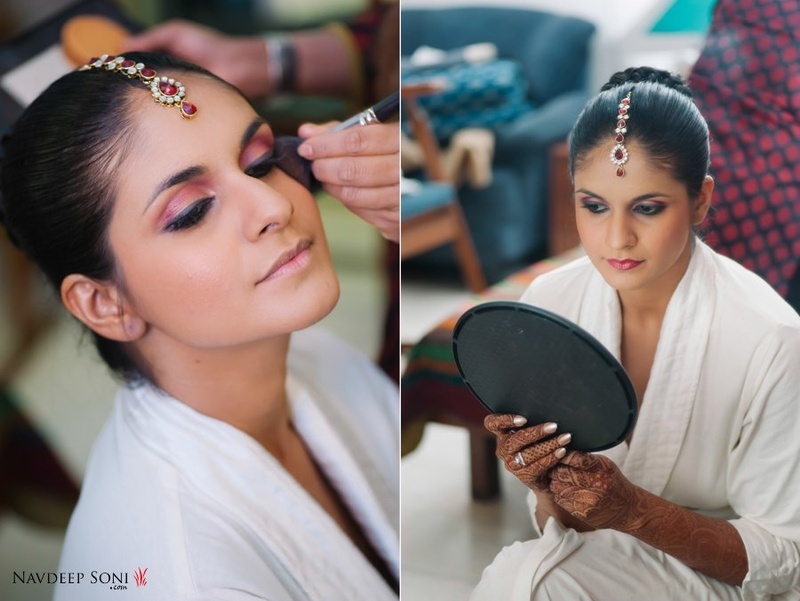 Shot brilliantly by Navdeep Soni and his team, each picture from this wedding is sure to leave you inspired! 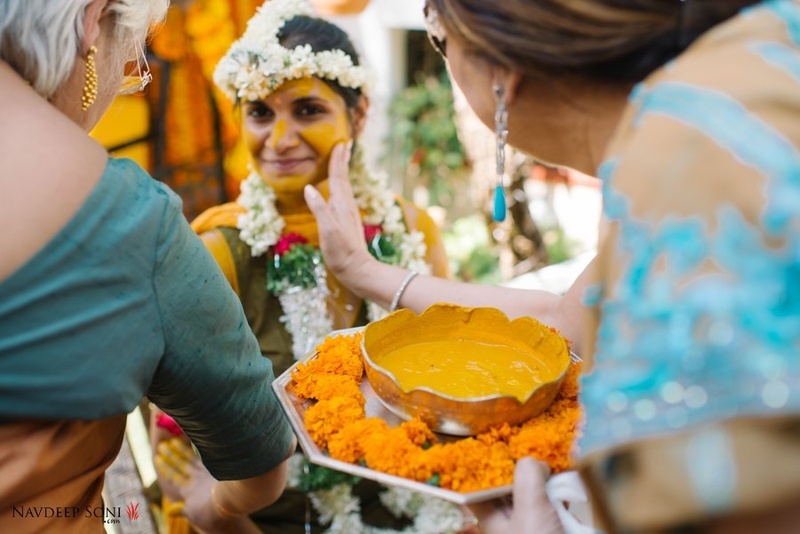 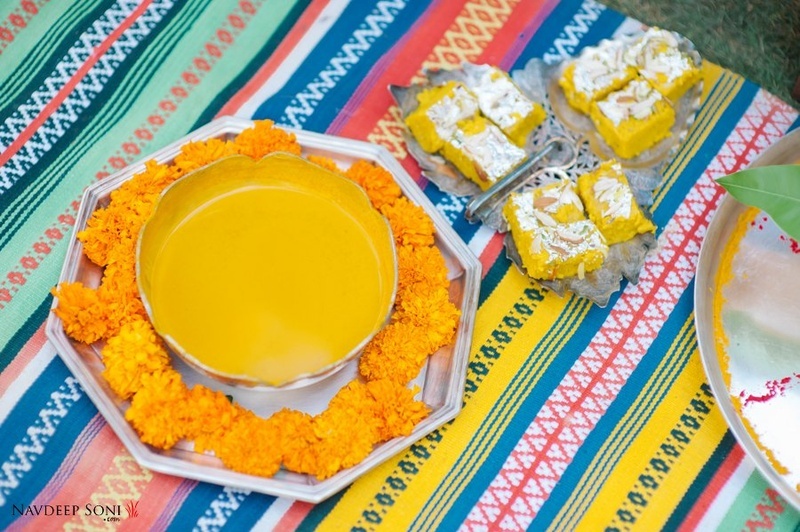 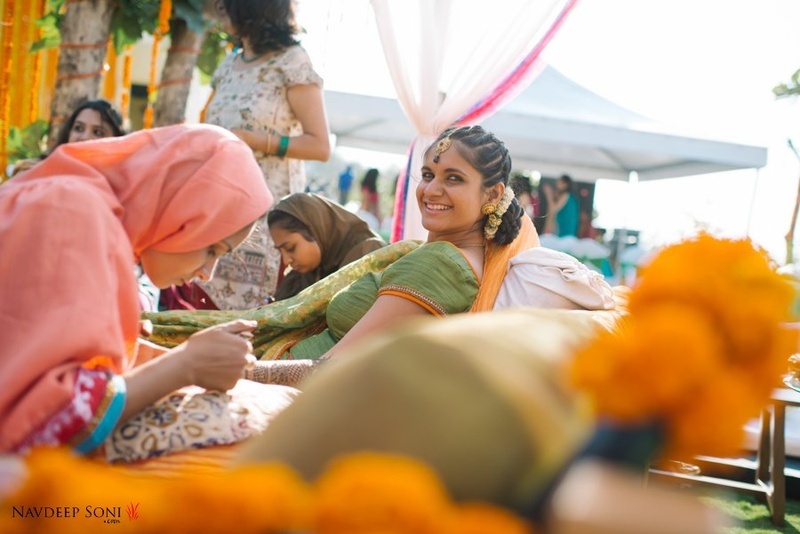 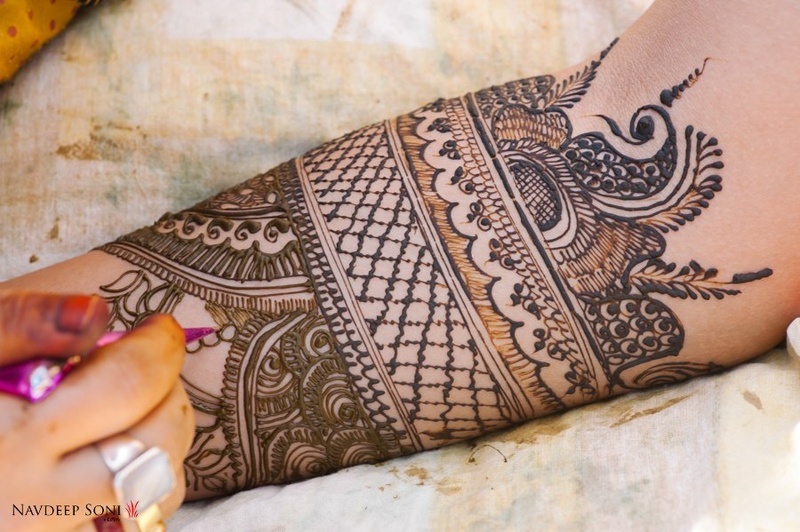 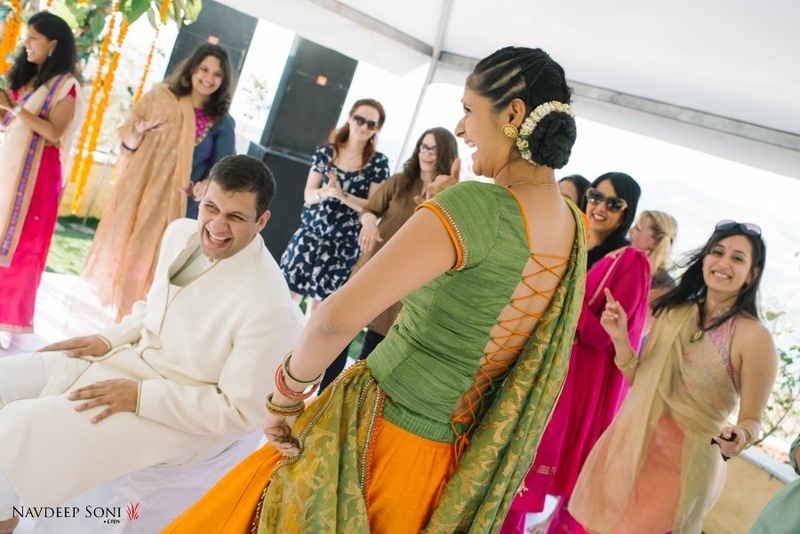 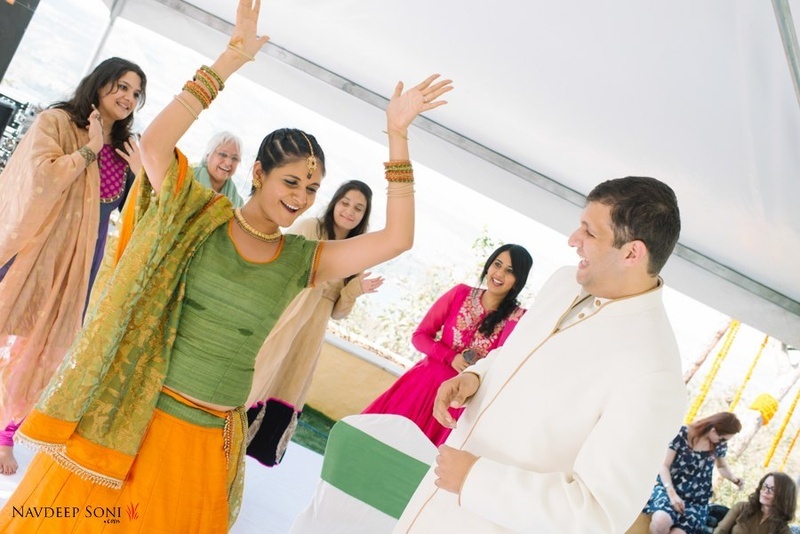 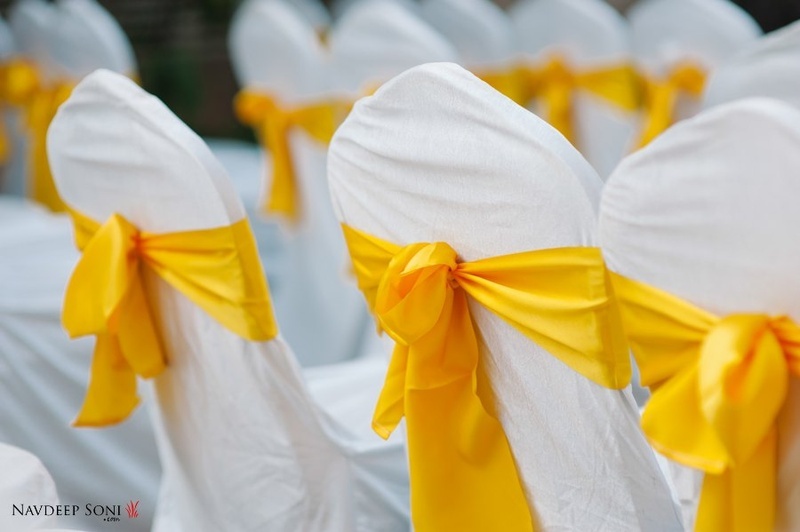 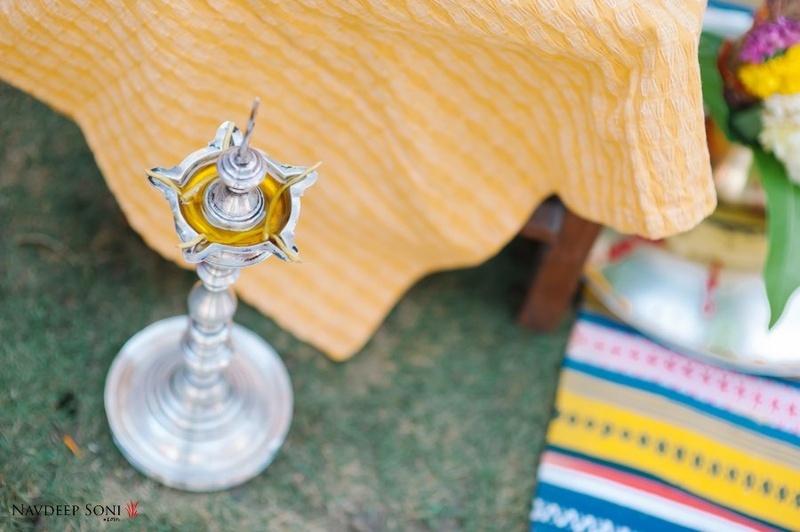 Marigolds and mehndi are soon becoming synonymous in the Indian wedding scene. 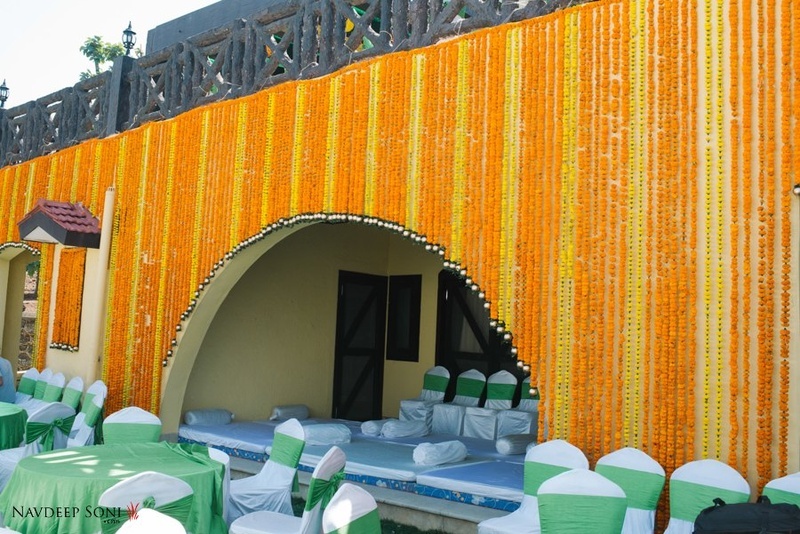 And the diverse ways in which they are being used by wedding decorators leave us wowed each time – like the striped marigold floral wall at this uber happy mehndi and sangeet ceremony. 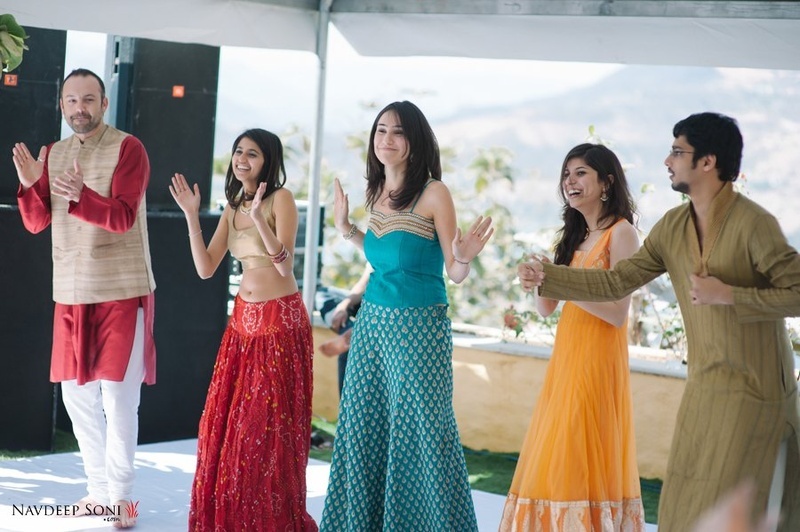 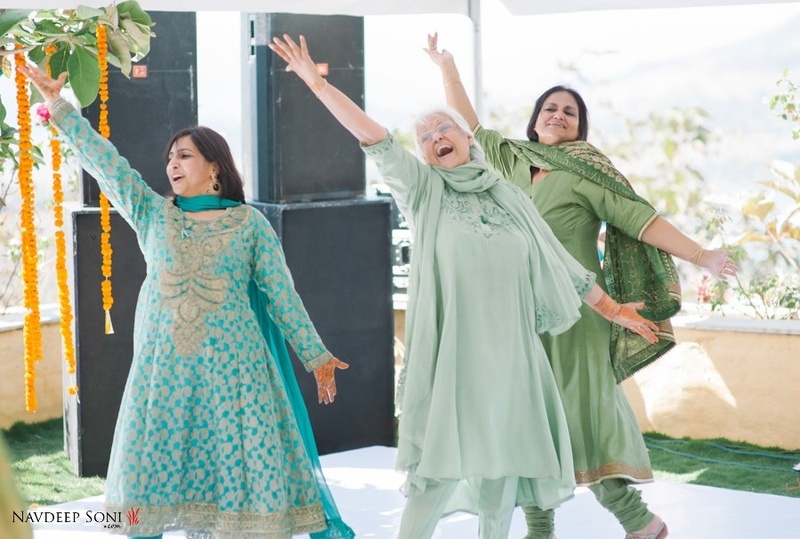 Specially choreographed dances for the bride and groom were performed by everyone from the aunty-ji’s to the little kiddos. 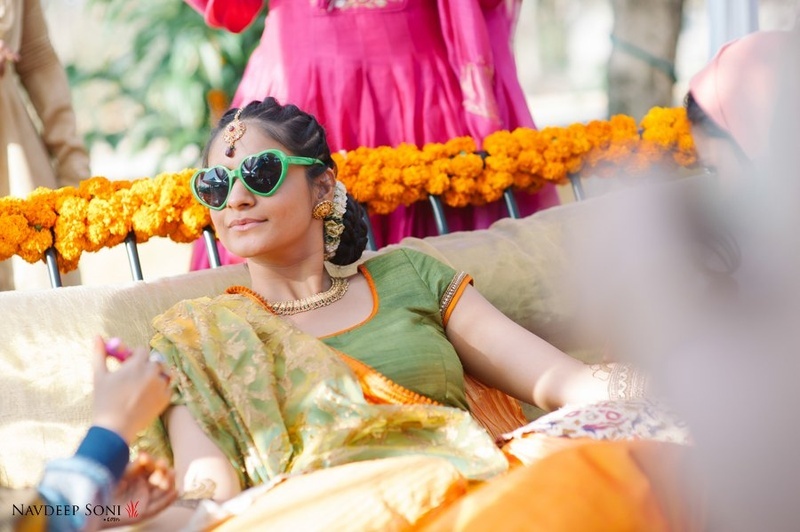 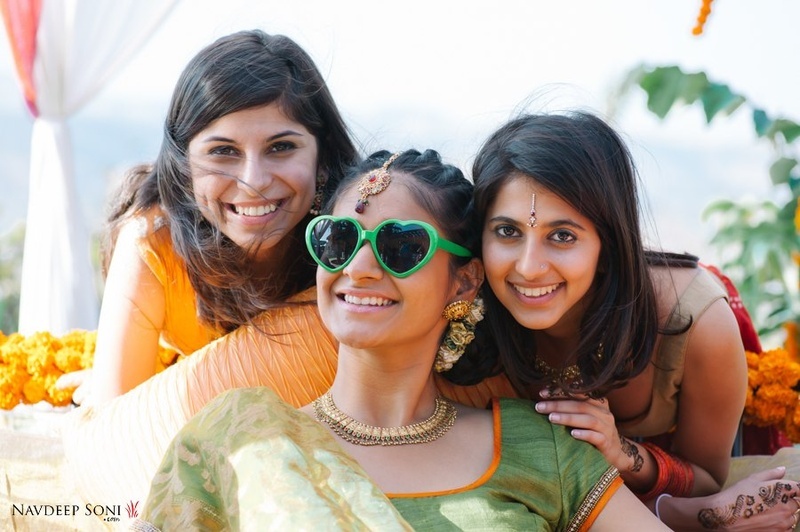 Our bride, Nayantara killed it with the coolness factor in her green and orange cotton lehenga-choli with those green heart shades – swagger bride? 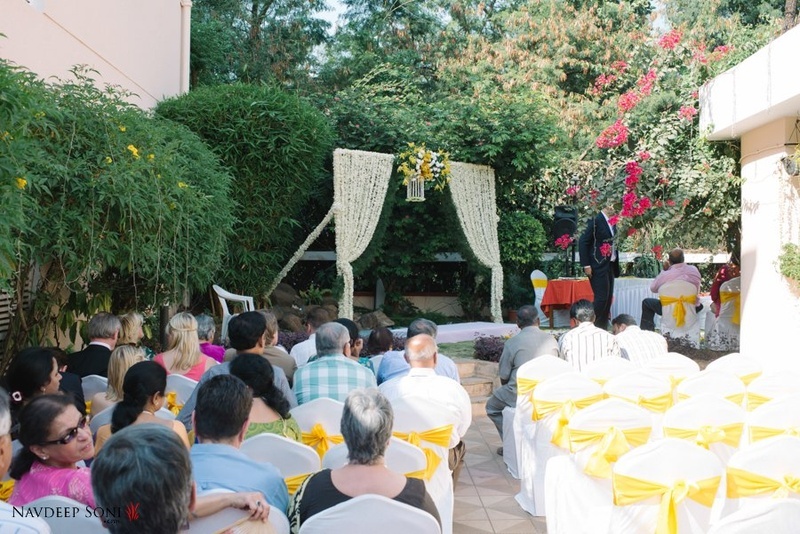 We definitely think so! 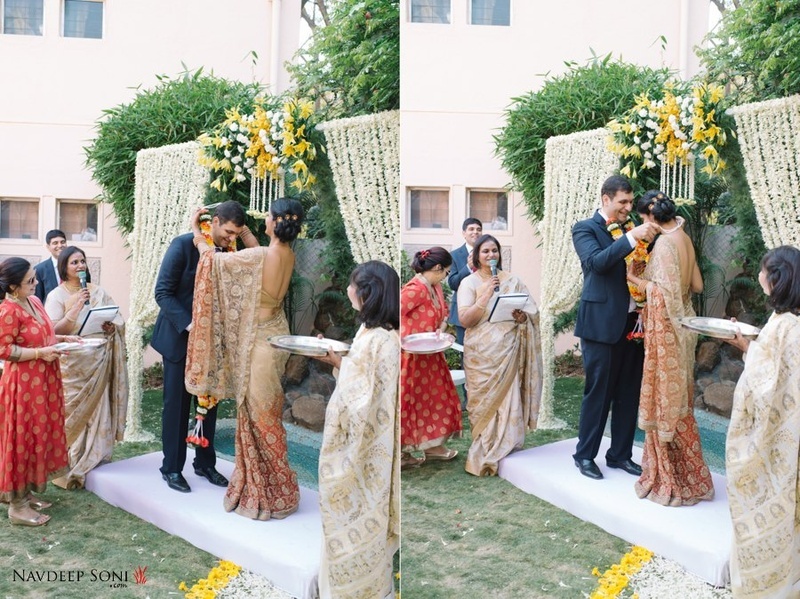 There were no loud dhols, naach and gaana, nor were there lively dancing baaratis – Nayantara and Dhruv wanted to go for something that was tasteful, classy and elegant. 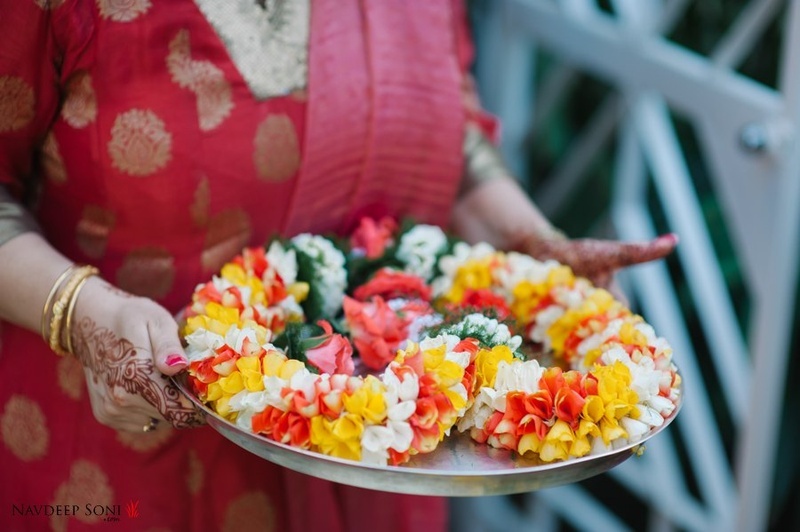 They had a simple varmala ceremony under a white floral curtain after which a gazetted officer solemnized their marriage. 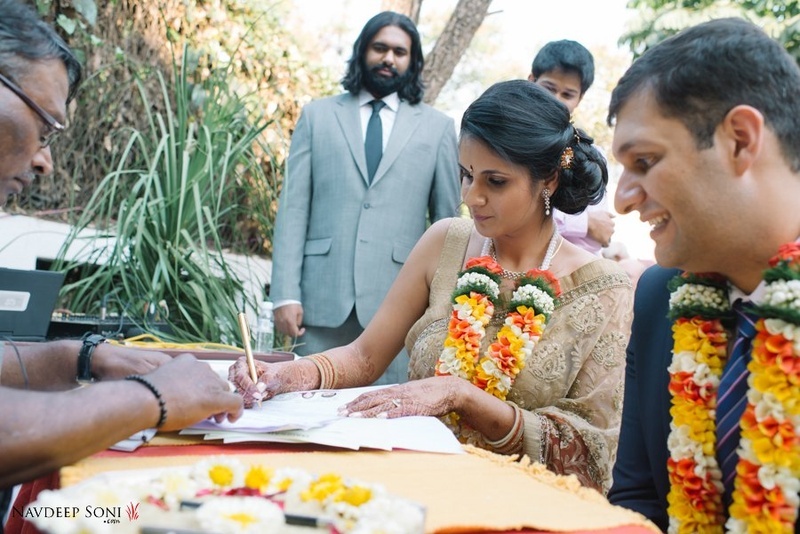 Lots of kisses were shared and tears shed, as Nayantara and Dhruv signed on forever. 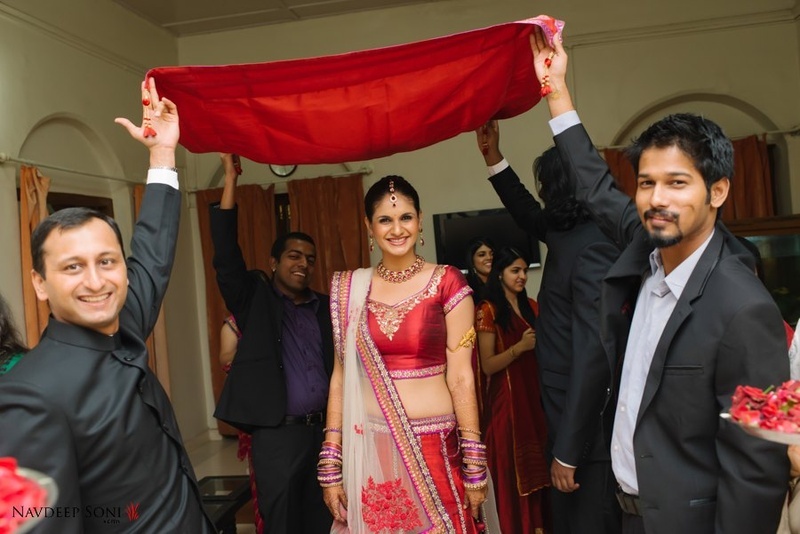 Being a daytime affair, this stunning bride opted to wear an elegant ombre saree in hues of beige and light fire red – it looked oh-so-perfect! 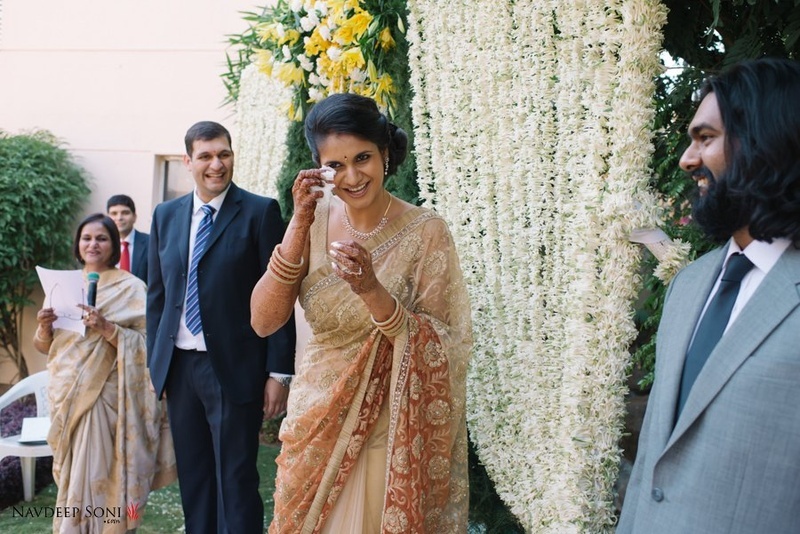 While Dhruv kept it classic in his navy blue pinstriped suit, a sharp white shirt and striped tie. 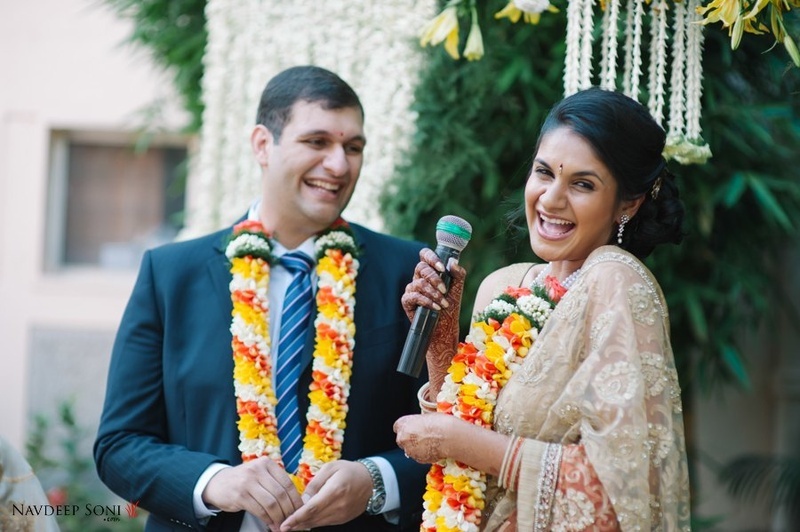 After this beautiful couple sealed the deal in the sweetest way, the reception followed in next right in the same backyard. 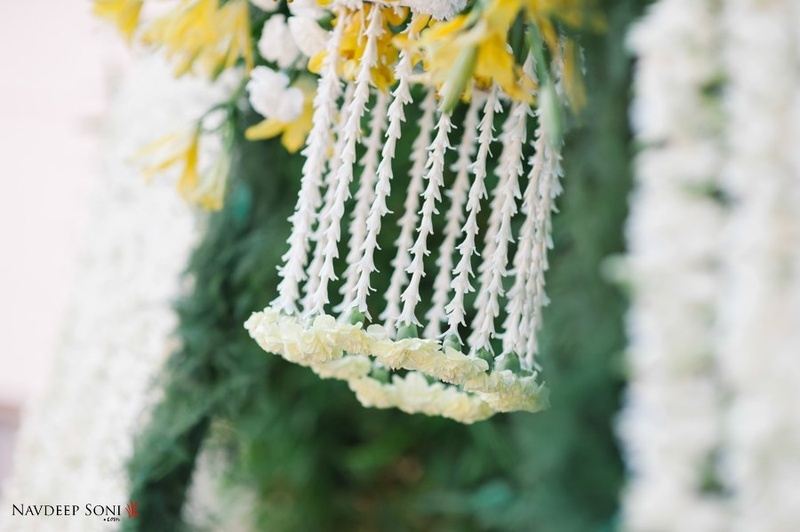 The white marigold curtain continued to pretty up the place while all the bushes and shrubs adorned with fairy lights brought on a whimsical feel to this intimate open air affair. 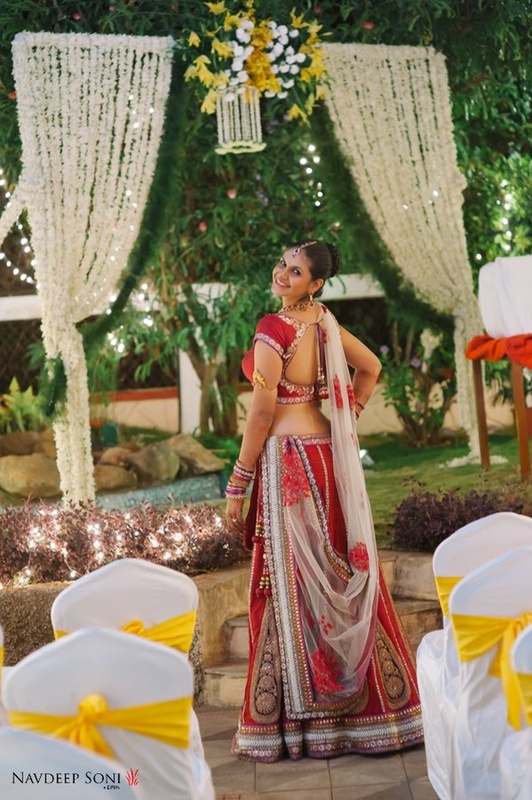 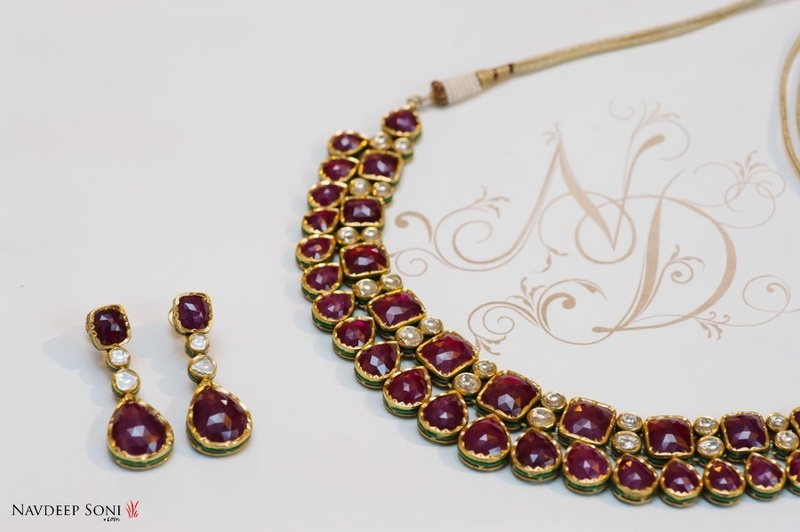 Nayantara looked like the epitome of elegance in her deep red kalidar lehenga paired with a sheer white dupatta and gorgeous ruby jewellery that is sure to make you rethink that diamond necklace.